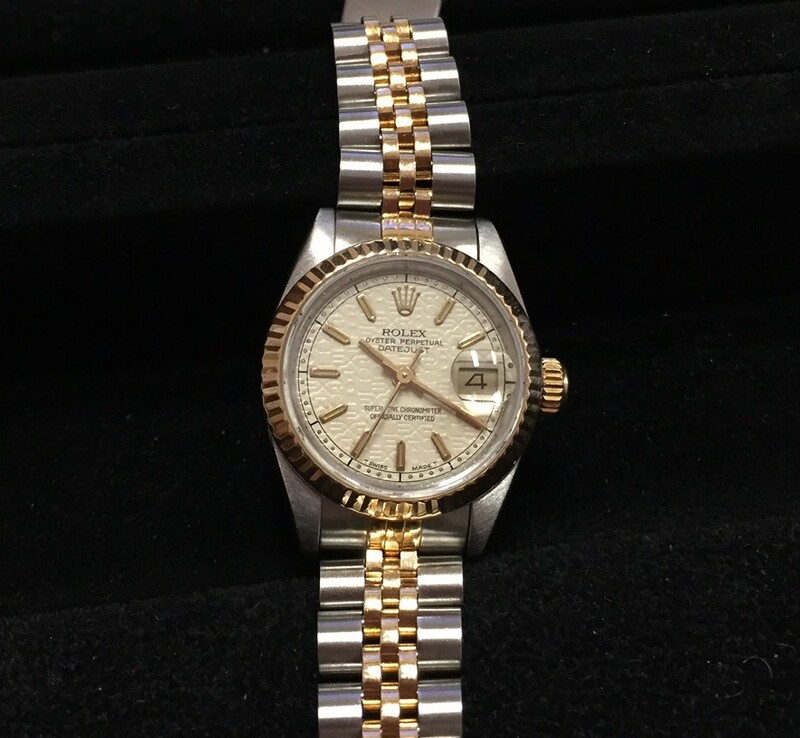 For this Deal of the Week, we have an elegant ladies Rolex Datejust in 18K yellow gold and stainless steel. A classically beautiful timepiece, this watch is highlighted with a Rolex Jubilee dial with gold stick hour markers. 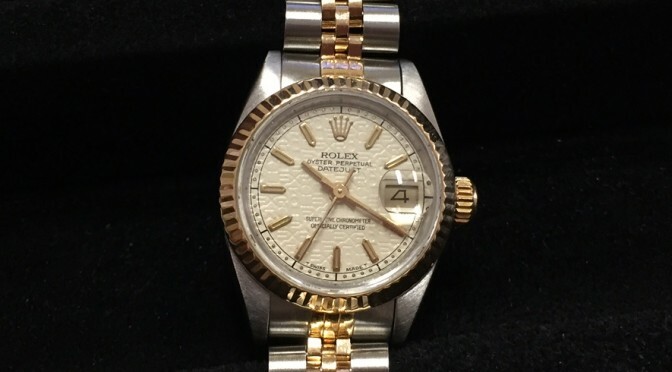 This Rolex is in excellent cosmetic condition and has been professionally polished by our in-house watchmaker.